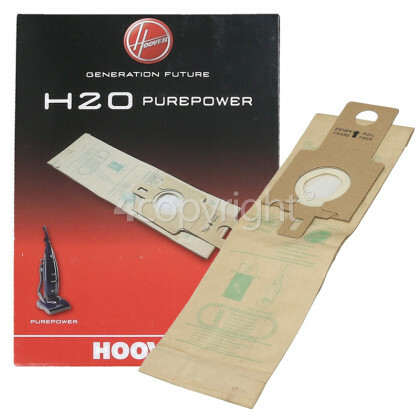 Your vacuum cleaner features a removable H20 Purepower High Filtration Dust Bag that collects dirt and dust. On average, a monthly vacuum bag change is recommended, however for large households with many pets and carpets, vacuum bags may not last a full month. Blocked or damaged filters can cause your vacuum cleaners motor to become overheated, as the dust particles are not filtered out as they make their way into the motor. Help ensure the continued high performance from your vacuum, with the Pre Motor Filter that is included in the pack.